You may already know that Maison Schiaparelli, the house of French couturier Elsa Schiaparelli, re-opened in July at its former address, 21 Place Vendôme, and that Marco Zanini, the new creative director, will premiere his first collection in January during couture week in Paris. With the Schiaparelli name in the news, I thought you would like to see some of the beautiful costume jewelry she produced in the 1950s. 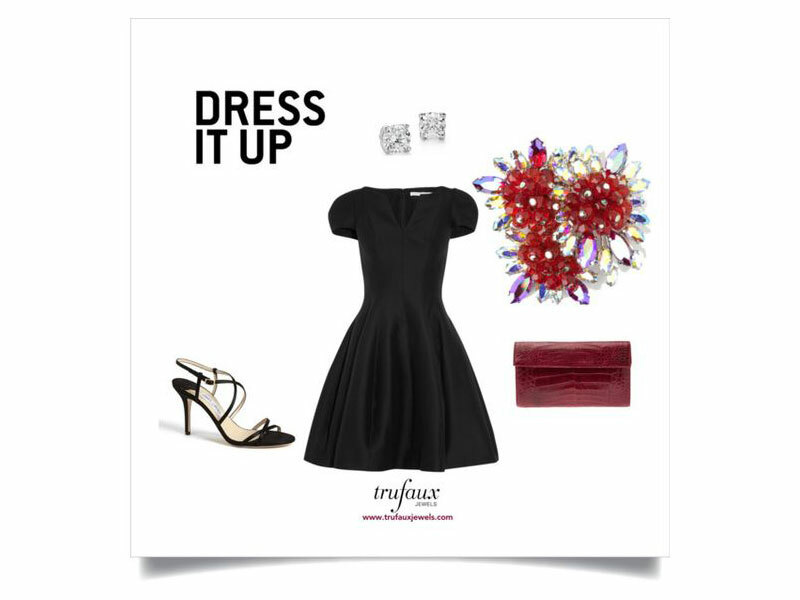 And because Elsa Schiaparelli and Gabrielle (Coco) Chanel (who has been credited with originating the little black dress) were life-long rivals, I couldn’t resist bringing them together by pairing the jewels with black cocktail dresses. 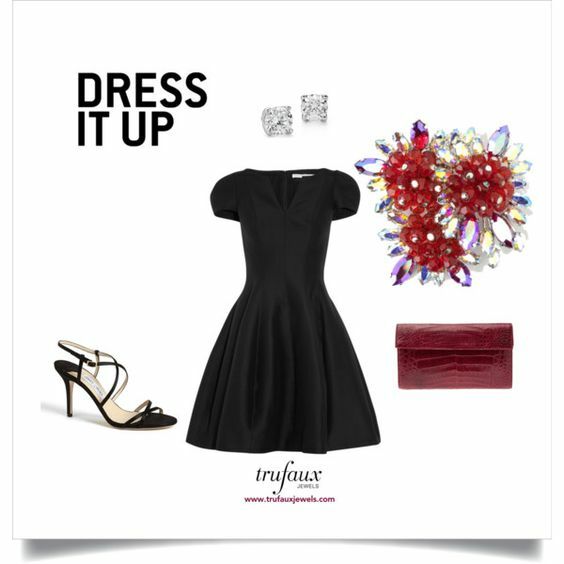 The Schiaparelli pieces, all from the TruFaux Jewels website, are right in style with today’s feminine, glamorous look. For a full description and detailed photos of each jewelry piece, click on the link in the description. I hope you find these examples inspiring for the upcoming holidays and beyond. This first party outfit features a black satin and tulle dress; the tulle skirt is embellished with embroidery and sequins. To balance the bling, I’ve added a pair of show-stopper earrings. They feature rhinestones in Schiaparelli’s signature color Shocking (a deep shade of pink) and orange, which surround pale pink lava rocks (Schiaparelli’s signature stone). The shoes and leather-and-velvet evening clutch are both black, so that the jewels can take center stage. In person, this Schiaparelli brooch reminds me of a display of fireworks. It features clusters of ruby red glass beads atop clear and red aurora borealis (AB) rhinestones. AB is an iridescent coating that adds shimmer. Pin this stunning piece to the shoulder of your little black dress, and add another touch of red with a python clutch. 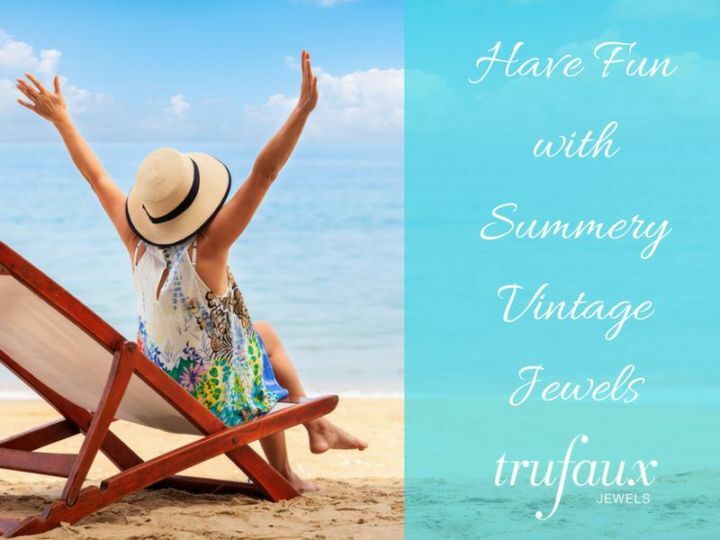 Wear your faux or real diamond stud earrings. The black high-heel sandals finish this evening outfit, which is elegant in its simplicity. Click through to see this amazing brooch and the black-and-white version in my boutique. In the 1950s, costume jewelry makers typically made parures, which were matching sets that often included a necklace, earrings, bracelet, and brooch. To accessorize this fitted, ribbed black dress, I have chosen these Onyx & Silver Leaves Earrings and the matching necklace. I didn’t add the matching bracelet, although it is available, because we tend not to dress with full parures today. If you had the three-piece set, you could wear one or two pieces with this dress and many other all-black, black-and-white, and black-and-silver outfits. For this one, I’ve added a black lace clutch and fuchsia (shocking pink) satin slingback sandals (just for fun!) to complete this glamorous look. 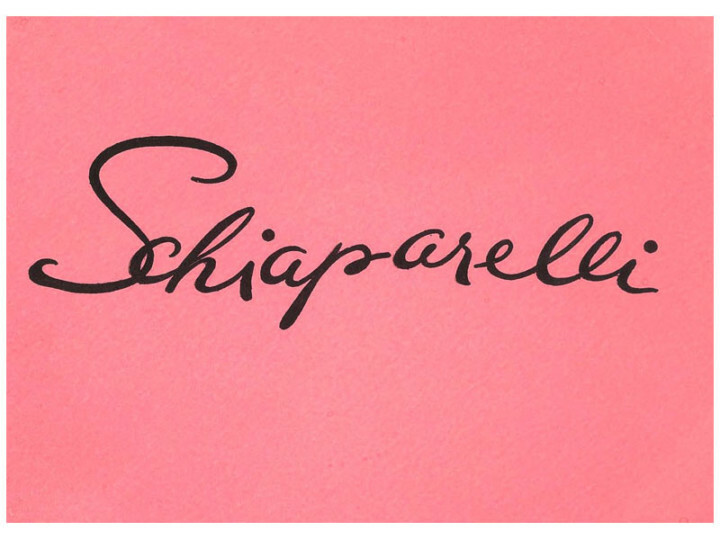 Read my blog post Elsa Schiaparelli: Shocking! 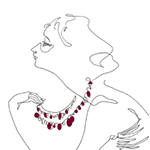 for information about her life and jewelry, and click through to see the Schiaparelli collection on the TruFaux Jewels website.